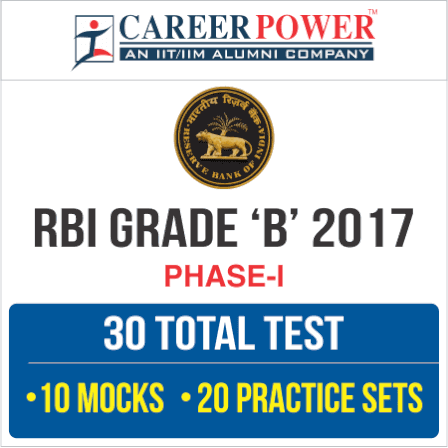 This is the high time to pace up your preparations for Upcoming RBI Grade B. Subjects like Aptitude, Reasoning, and English are important for the preparation of your exams but the subject the really comes in your way as a big challenge is General Awareness. 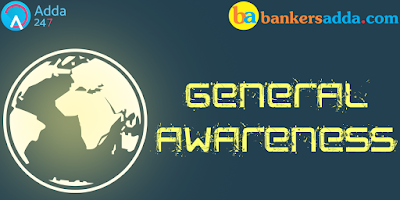 As you know General Awareness is the very important section in the RBI Grade B. So we are here to provide you very handy Quiz on General Awareness that will cover Current Affairs, Static Awareness, and Banking Awareness topics. Attempt the quiz with your best effort and try to score as much as you can. Q1. Sports Ministry has approved the appointment of two top foreign athletics coaches, one each in race walking and 400m race keeping in mind 2020 Olympics. 2020 summer Olympics will be held in ______. Sol. Sports Minister Mr. Vijay Goel has approved the appointment of two top foreign athletics coaches, one each in race walking and 400m race. 2020 summer Olympics will be held in Tokyo, Japan. Q2. National Film Awards were announced recently for the year 2016, Akshay Kumar won the Best Actor award for Rustam. It was _______ edition of National Film Awards. Sol. The 64th National Film Awards were announced in which the Directorate of Film Festivals presents it’s annual National Film Awards to honor the best films of 2016 in the Indian cinema. Q3. Name the lender that has announced that it’s Unified Payments Interface (UPI) will also be available on Chillr, a multi-bank mobile payments app. Sol. HDFC Bank announced its Unified Payments Interface (UPI) will also be available on Chillr, a multi-bank mobile payments app. Currently, UPI is available on HDFC Bank’s own mobile banking app. Q4. Name the Noble Prize winner who has been recently appointed as the youngest United Nations Messenger of Peace by Secretary-General Antonio Guterres. Sol. Malala Yousafzai, the youngest winner of the Nobel Peace Prize has become the youngest United Nations Messenger of Peace. The United Nations stated that the 19-year-old Pakistani education activist will be appointed by Secretary-General Antonio Guterres on April 10, 2017, and it will help to promote girl education around the world. Q5. The DIC Bill was introduced in the Parliament on August 21st, 1961. What is the meaning of "D" in DIC? Sol. Deposit Insurance and Credit Guarantee Corporation (DICGC) was came into existence on July 15, 1978. Consequently, the title of Deposit Insurance Act, 1961 was changed to 'The Deposit Insurance and Credit Guarantee Corporation Act, 1961'. Q8. Name the public sector bank that has embarked upon an ambitious project of upgrading the bandwidth at all its branches to 2 Mbps in partnership with BSNL. Sol. Canara Bank, a public sector bank, has embarked upon an ambitious project of upgrading the bandwidth at all its branches to 2 Mbps in partnership with BSNL. Q9. National Payments Corporation of India (NPCI), the umbrella organisation for all retail payment systems in the country, has disbursed ________ prize money to about 18 lakh winners under the NITI Aayog’s Lucky Draw schemes for consumers and merchants. Sol. National Payments Corporation of India (NPCI), the umbrella organization for all retail payment systems in the country, has disbursed over Rs. 245 crore worth of prize money to about 18 lakh winners under the NITI Aayog’s Lucky Draw schemes for consumers and merchants which are Lucky Grahak Yojna (LGY) and Digi-Dhan Vyapar Yojna (DVY). Q10. India has ranked ______ globally in total 136 countries in Travel and Tourism Competitiveness Report 2017 by World Economic Forum. Sol. India has jumped 12 places to 40th rank globally in total 136 countries in Travel and Tourism Competitiveness report 2017 by World Economic Forum. Q11. Indian boxer K Shyam Kumar won a gold medal in the 49- kilogramme category at the Thailand International Tournament. What is the capital of Thailand? Sol. Indian boxer K Shyam Kumar won a gold medal in the 49- kilogram category at the Thailand International Tournament. Bangkok is capital of Thailand. Q12. National Youth Day is celebrated in India on which of the following day on the birthday of Swami Vivekananda? Sol. National Youth Day (Yuva Diwas or Swami Vivekananda Birthday) is celebrated with the great joy and enthusiasm in India every year on 12th of January. Sol. Netaji Subhas Chandra Bose International Airport is an international airport located in Kolkata, West Bengal, India, serving the Kolkata metropolitan area. It is located approximately 17 km from the city center. Q14. Croatia is an Eastern European country with long coastlines on the Adriatic Sea. What is the currency of Croatia? Sol. Croatia officially the Republic of Croatia is a sovereign state between Central Europe, Southeast Europe, and the Mediterranean. Its capital city is Zagreb, which forms one of the country's primary subdivisions, along with its twenty counties. Croatian kuna is currency of Croatia. Q15. Which of the following bank is not a private sector bank in India? Sol. Founded in 1943, UCO Bank is a commercial bank and a Government of India Undertaking.